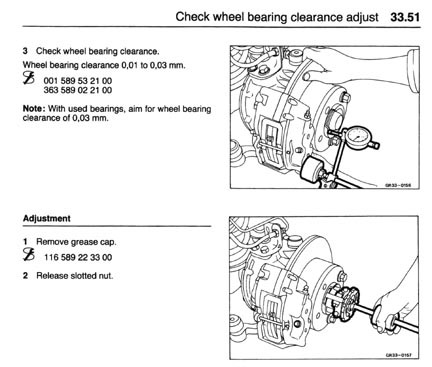 If all you need to fix are the wheel bearings or a pinion seal and the regular workshop manual is much more than you ever wanted to know about your G - here is a reasonable solution for you. This CD only contains front and rear axle workshops manuals for both, 460 and 463 series and driveshaft manuals for both models. This CD covers: Alignment specs for drive shafts (important information if you experience vibrations) and drive shaft service . Also:axle bearing adjustments and replacement, adjusting steering knuckles, differential repairs, differential lock adjustments, adjusting shift cylinder, reconditioning of CV joints and reconditioning of trailing arms. The manual covers all service and repair processes in detail including torque specs and tools needed.